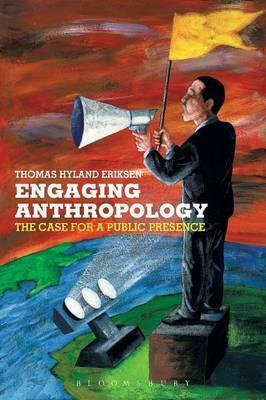 Thomas Hylland Eriksen (born 6 February 1962) is professor of social anthropology at the University of Oslo. Born in Oslo, he has done field work in Trinidad and Mauritius. His fields of research include identity, nationalism, globalisation and identity politics. 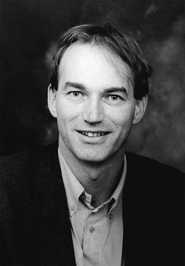 Eriksen finished his dr. polit.-degree in 1991, and was made professor in 1995, at the age of 33. In the years 1993-2001 he was editor of the journal Samtiden. A considerable portion of Eriksen's work has focused on popularizing social anthropology and conveying basic cultural relativism as well as criticism of Norwegian nationalism in the Norwegian public debate. He has written the basic textbook used in the introductory courses in social anthropology at most Scandinavian universities. The book, "Small Places - Large Issues" in English, is also used in introductory courses in many other countries, and has been widely translated, as has his other major textbook, "Ethnicity and Nationalism: Anthropological Perspectives". Eriksen is a frequent contributor of newspaper pieces in Scandinavia. In 2011, Professor Eriksen was awarded an Advanced Grant from the European Research Council. Under the heading "OVERHEATING", he now directs research on three major crises of globalisationâ€”economy/finance, environment/climate and identity/culture. This project is both comparative and interdisciplinary. Starting in late 2012, it will be completed in 2016. Engaging Anthropology takes an unflinching look at why the discipline has not gained the popularity and respect it deserves in the twenty-first century.While showcasing the intellectual power of discipline, Eriksen takes the anthropological community to task for its unwillingness to engage more proactively with the media in a wide range of current debates, from immigrant issues to biotechnology. Eriksen argues that anthropology needs to rediscover the art of narrative and abandon arid analysis and, more provocatively, anthropologists need to lose their fear of plunging into the vexed issues modern societies present.